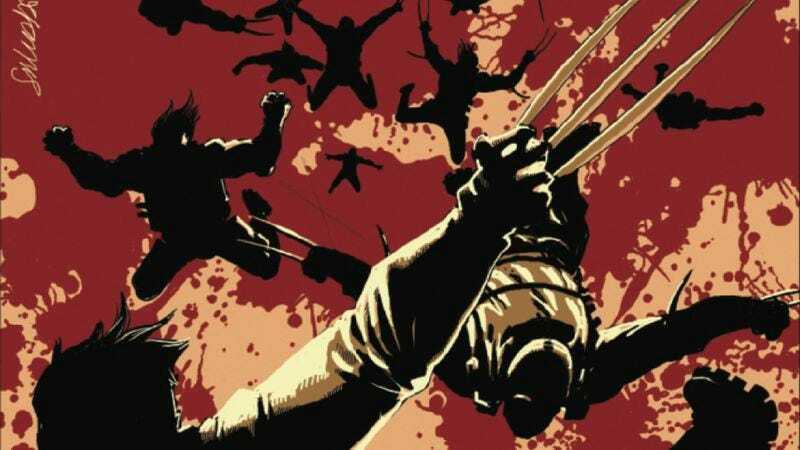 In the last issue of Charles Soule’s The Death Of Wolverine miniseries, the titular character discovered the reemergence of Weapon X, the government-sponsored program that gave him his adamantium skeleton and turned him into a killing machine years ago. Wolverine sacrificed his life to prevent the creation of new super soldiers like himself, but what happened to the bodies left in the Nevada facility? Charles Soule answers that question in The Weapon X Program, a new five-issue miniseries with artist Salvador Larroca and colorist Frank D’Armata that is a direct continuation of the story that began with Wolverine’s demise. While most of the test subjects perished, one volunteer has made it out alive: a man named Sharp who clearly didn’t know what he was signing up for. This preview of next week’s The Death Of Wolverine: The Weapon X Program #1 highlights his disorientation as he wakes up after Wolverine’s attack on the Nevada facility. Still, that confusion doesn’t diminish his warrior instincts when he comes across an armed guard and another living test subject. Soule’s script for the Weapon X-centric final issue of The Death Of Wolverine was the strongest chapter of the entire miniseries, and his work on his creator-owned Oni series Letter 44 proves he can write a captivating story combining science-fiction action with political intrigue. This preview spotlights the sci-fi, but hopefully this new Weapon X Program miniseries will allow Soule to utilize his skills in both arenas. Teaming with Larroca and D’Armata, the art team behind Matt Fraction’s The Invincible Iron Man, Soule has a pair of collaborators with a knack for balancing superhero spectacle and grounded character drama, and the strength of this creative team makes The Weapon X Program one of the most promising of Marvel’s many Death Of Wolverine spin-off titles.